Release: Admit cards for the various posts are expected to be released from 15th January 2019. Step 1: For downloading the admit card candidates need to visit the official website of the RBI. Step 2: Candidates are required to provide the Application Number and Date of Birth as the password, to access and download the RBI Recruitment 2019 Exam Admit Card. Step 3: Click on the relevant link (the post for which you have applied) to download the Admit Card. Take a printout of the same. 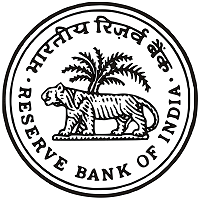 Note: On the day of examination, candidates have to carry the hard copy of the Admit Card along with an original ID proof and a copy of it to appear for RBI Recruitment Exam. Examination Centre Details, Examination timing, Date of Examination. It is highly advisable to check all the details on the admit card. If candidates find any spelling eroors or mismatch of any of the details in the admit card he/she can contact the concerned authority at RBI. Candidates have to affix the photograph and signature on the printed admit card. Candidates are requested to make at least two copies printout of the admit card for future use. On the day of examination candidates have to carry the hard copy of the Admit Card along with an original ID proof and a copy of it to appear for any of the RBI Recruitment Exam.